Mmm, chocolate. Just thinking about it probably brought a smile to your face. It’s no secret that chocolate is good. It’s tasty, it makes people happy, and some say it might even be good for your health. Need more reasons to indulge? We have a few. 1. Yes, there really is a chance chocolate might be healthy for you. Like most plants, cocoa beans are full of a substance called flavonoids. Among other things, in plants, flavonoids act as antioxidants and antimicrobials. Those properties are transferred to people who eat foods that are high in flavonoids like broccoli, blueberries, wine, or, yes, chocolate. And boy does chocolate contain a lot of antioxidants! For a long time, antioxidant levels were measured in something called Oxygen Radical Absorbance Capacity (ORAC) values. Studies have shown that, per 100 grams, cocoa powder has over 12 times the ORAC value of blueberries, over 53 times the ORAC value of spinach, and over 64 times the ORAC value of red grapes. 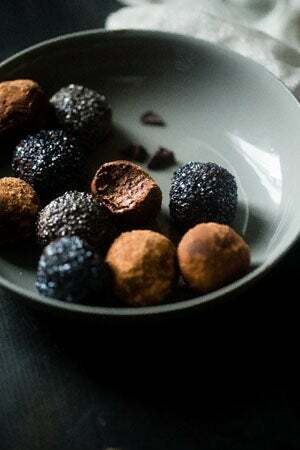 The free radical fighting antioxidants in the flavonoids found in chocolate have been linked to fighting cancer, improving heart-health, improving cognitive ability, lowering blood pressure, increasing HDL and lowering LDL, and even improving insulin sensitivity in men. Go chocolate! That said, to get the full benefits of the flavonoids in chocolate, you need to eat a lot more than is commonly recommended by dietitians who worry about the fat and sugar content in chocolate. Lucky there are plenty of other benefits to be found in eating chocolate. When you think back to all the times in your life that you have eaten chocolate, odds are that the memories are happy ones. When you take a bite of food, no matter what form it takes, you activate a portion of the brain that triggers memories and emotional associations linked to that food. 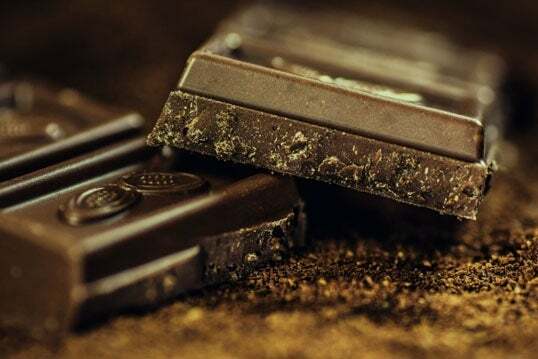 Even if you are eating a piece of chocolate late at night, in your pajamas, all by yourself, that simple bite triggers echoes of the positive emotions you’ve experienced while eating chocolate in the past. It’s like magic except it’s science, and science is cool. A treat is different than a reward, a treat is a small pleasure or indulgence, something that you randomly do for yourself when the desire strikes. Allowing yourself a momentary indulgence of a treat can boost your energy and makes you feel cared for and contented, which in turn improves your outlook on life and can help you maintain good habits. 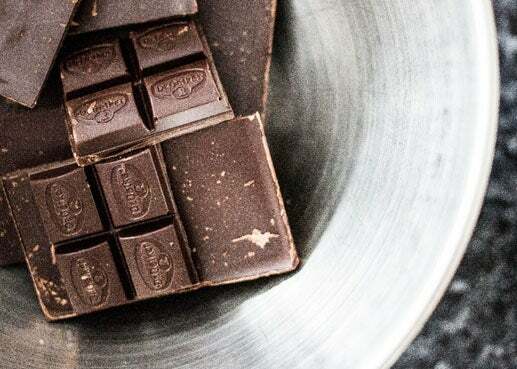 Taking a break in the middle of your day to intentionally savor a piece of chocolate can make all the difference in how your whole day unfolds. 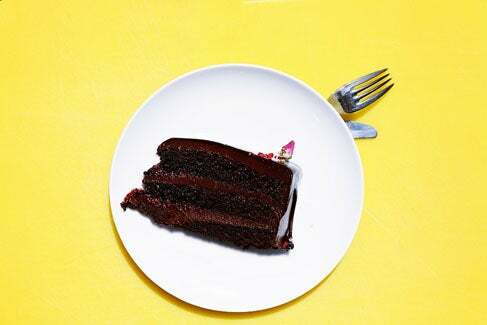 If you’re on a diet or you’re just trying to eat a little less, resist the urge to shun chocolate. Chocolate, especially dark chocolate, is full of fiber, so even a bite or two can help you feel full. Even better, by letting yourself indulge in the complex taste of a well-crafted piece of chocolate, you can satisfy your desert craving without breaking the calorie bank. That doesn’t mean you should go overboard, but good quality dark chocolate definitely deserves to stay on the menu! 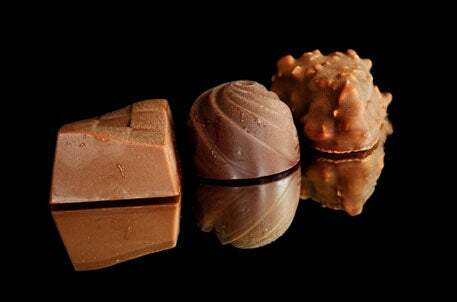 Chocolate comes in endless flavor varieties offering a myriad of ways to make your taste buds and your brain frolic for a moment. First there’s the anticipation that comes from wondering what the truffle will contain or how the chocolate will taste. Then comes the explosion of taste. Finally, there’s the flood of endorphins and serotonin that is triggered by the chocolate itself. It’s basically a party just waiting to happen. Which is good, because adults just don’t have enough fun and fun is an important part of a happy life. Fun is what gives you the strength you need to get through the big and small challenges that life throws at you. Fun allows you to find balance, and having fun actually helps you be more productive. Think of chocolate as the ultimate recess for adults, one that comes with unexpected and delightful surprises.